What Does It Cost For DartFrog To Place Your Book Into Stores? The cost to evaluate and place your book in bookstores is $475. 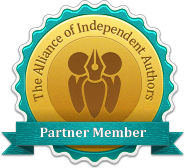 We offer authors a Limited and a Full option for submitting their self-published books. Both options include, at no additional cost to the author, a Book2Look biblet ($200 retail value). DartFrog invests in Book2Look to enable authors to effectively and professionally present their work, whether or not their book passes our evaluation. A straight Yes or No. If your book does not meet bookstore standards, you will receive this email, and owe nothing more. If your book is selected, a remaining balance of $386 will cover the initial investment required to place your book into the minimum number of stores (20). A detailed written evaluation explaining why your book is (or is not) ready for bookstore distribution. If selected, we will also provide a book review style blurb (the "money quote") for your own promotional efforts. If not selected, you will be allowed to submit your book a second time, at no extra cost, once the issues noted in the evaluation have been addressed. HOW DOES DARTFROG PUT MY BOOK INTO STORES?